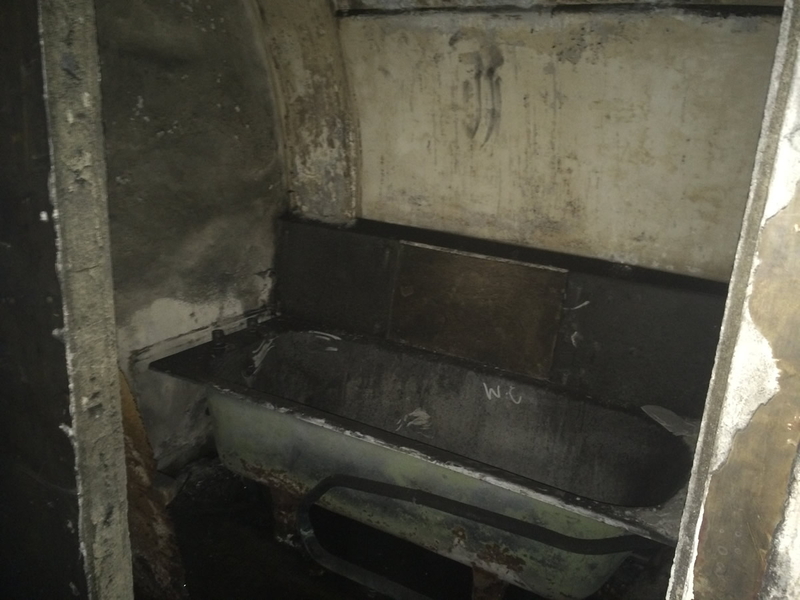 Traveloscopy Travelblog: London's Underground Ghost Station - coming back to life? 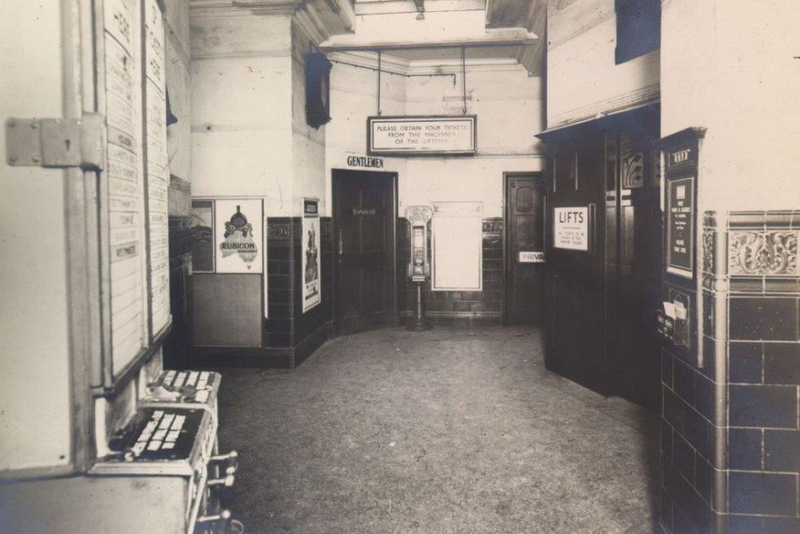 London's Underground Ghost Station - coming back to life? 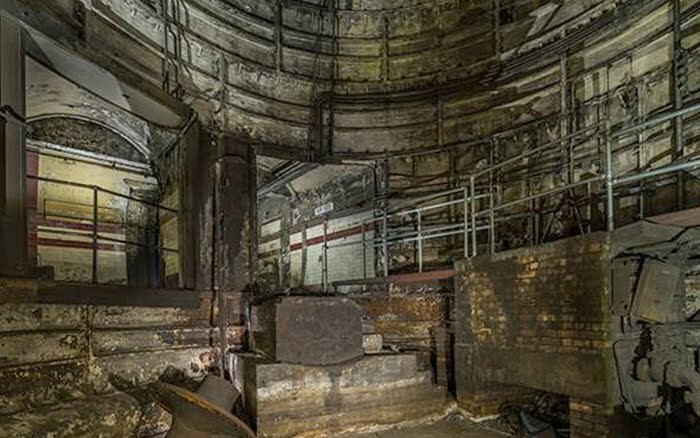 London's Underground Ghost Station - coming back to life? YOU'VE got to admire the folk who run the London Underground, they're on an enthusiastic search for someone to lease a part of a station that, while deep under one of the city's poshest districts, has not seen a paying passenger in 83 years. And for the just 400m2 they're offering, they're asking 100,000 British Pounds a year in rent (that's AU$207,000) – plus they successful renter will have to pay whatever it takes to turn their little subterranean haven into a commercial proposition. But Transport for London (TfL) believes that because of its rich history, together with its prestigious location, they'll find someone with sufficient imagination and enterprise to capitalise on the site's potential. 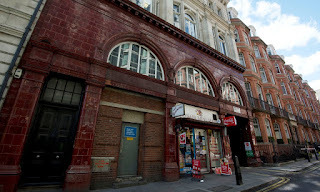 The Down Street Station lays under swank Mayfair and is one of a remarkable 40 on the Underground that have become "ghost stations" after being closed for reasons ranging from lack of viable passengers numbers, to simply old age and disrepair. And, says TfL, if they could all be leased out they could earn it something like 3.4b British Pounds a year – a whopping AU$7.04b. Down Street Station was almost doomed from the moment it was built by the Great Northern, Piccadilly and Brompton Railway (GNPBR) in1907: the mostly upper-class residents of Mayfair with their fine horses and buggies and scattering of new-fangled motor-cars, exhibiting nothing but disdain for grotty public transport, and worse still, fearing it would bring into their midst "those with disreputable intent." As well, because of the high cost of land, the entrance to Down Street Station had to be tucked into a small side-street and was thus not generally well-known, and ironically its patrons were mainly the servants of those bemoaning its very presence. Within two years trains skipped the empty station on Sundays, and with increasingly declining patronage on weekdays, it was closed for good in May 1932. But while it may have appeared abandoned, for six years it was anything but, and in fact played two highly important but very secretive roles during WWII. And it is these that TfL is also hoping to cash-in on, even though it admits that what it's offering for lease is made up of "difficult and complex spaces" – and with the only current access by way of a 122 step spiral staircase. 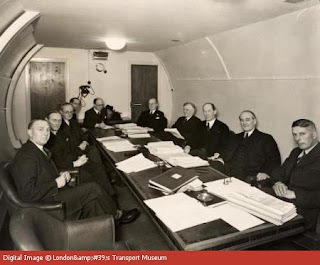 In 1938 and sensing war on the horizon in Europe, Britain formed an emergency Railway Executive Committee (REC) to take control of all of the country's railways and to keep them running in the event that war did occur. Deciding that it needed a secure, bomb-proof headquarters, the Committee chose the deep, abandoned Down Street Station. 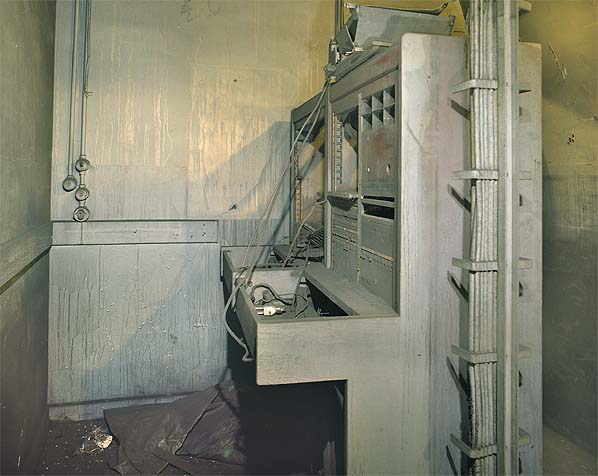 Working only at night when Tube trains were not running, builders constructed a wall along the Down Street platform edge, leaving just two small openings where VIP staff could alight from the driver's or guard's compartments of trains direct into the secret facility. And within weeks the bricked-up platform and passenger tunnels that connected it to then-lifts to the street and the spiral staircase, became a maze of tiny individual offices, rail control rooms, a telephone exchange, typing rooms, and conference areas. And with twelve senior REC officials and twenty-two regular staff manning the place 24-hours a day to keep Britain's vast rail network running in spite of regular Luftwaffe bombings, sleeping quarters were also built, and a kitchen and bathrooms squeezed in, all with furnishings tailor-made to each miniscule space. Then for six weeks in 1940 even more top-secret tenants arrived – during bombing raids on London, Prime Minister Winston Churchill and his entire Cabinet retreated to the centre until a separate and secure Cabinet War Rooms bunker was built elsewhere. Churchill, his wife and Cabinet Ministers often slept overnight in the confined little space – Churchill once commenting to colleagues that "it gives me the opportunity to work during bombing raids, rather than appear to hide." Churchill even had a separate Cabinet member's lift installed, and his own bath. At war's end Down Street was closed, stripped, even the lifts removed, and abandoned. Now TfL wants to see the lifts re-installed and those passenger tunnels, platform vestibules and other areas put to innovative new use… maybe as galleries, an exhibition space, art cinema, bar – or a classy, atmospheric restaurant for those with a taste for history.